Bloomberg reports Jimmy Page, John Paul Jones and Robert Plant were each deposed separately over the past month as part of pretrial discovery, according to new filings in Los Angeles federal court. 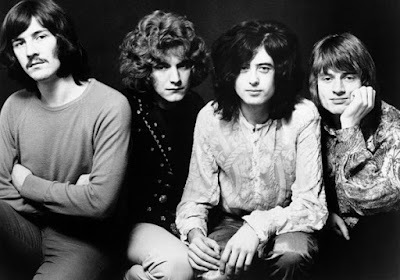 During the depositions in London, each member said that they had no idea what their finances or earnings were with Led Zeppelin, according to a filing by the plaintiff's lawyer asking for more time to investigate. The two bands shared the bill at several shows in late 1968 and 1969. Led Zeppelin's guitarist, however, testified his memory of the era was vague, according to the filing by plaintiff's lawyer Francis Alexander Malofiy, who conducted the questioning. "Jimmy Page’s discovery answers [the] claim that he remembers virtually nothing about the 1960s or 1970s despite many public interviews concerning Spirit where he stated that he listened to the band’s albums and that they struck him on an emotional level, despite the fact that he played and attended concerts where Spirit performed," Malofiy wrote.